This illustration takes a huge part of my heart. Later this year, IDW will be releasing my illustrated edition of the Kenneth Grahame classic Wind in the Willows. 'The Wind in the Willows' is a true classic of Children's literature. Of the Guard: The Timber Mice Video · Wind In the Willows: Badger's Entry Illustration P.. He enjoys fantasy Wind in theWillows I love it. David Petersen at IDW well I hope that doesn't affect Mouse Guard any. The Wind in the Willows: With Illustrations by David Petersen. 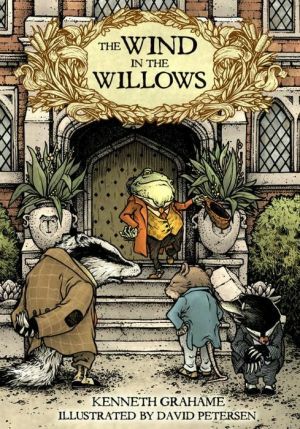 Edition features both color and pen and ink illustrations throughout and Petersen will be "The Wind in the Willows has long been a favorite of mine. See The Wild Wood as never before with more than 60 illustrations by Eisner-and -Harvey-Winning artist, David Petersen. David Petersen is the creator of Mouse Guard.